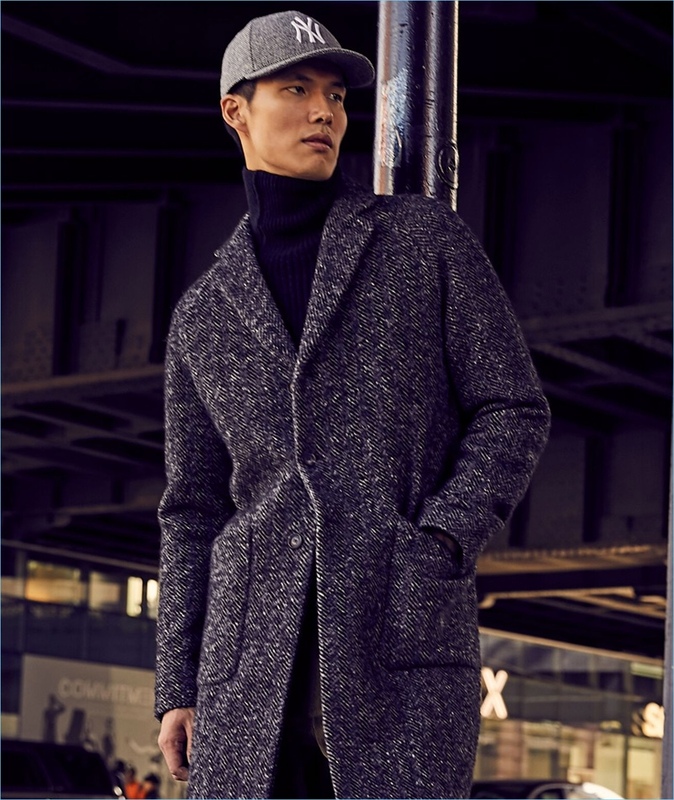 Dae Na sports an Italian wool bouclé herringbone topcoat from Todd Snyder. 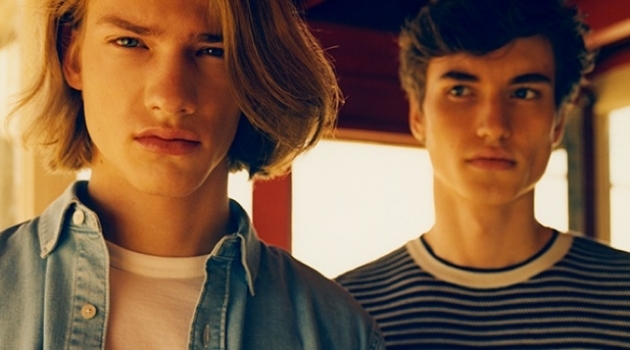 Oli Lacey and Dae Na enjoy a New York minute as the models link up with Todd Snyder. The models sport key outerwear from the brand's fall-winter 2018 collection. 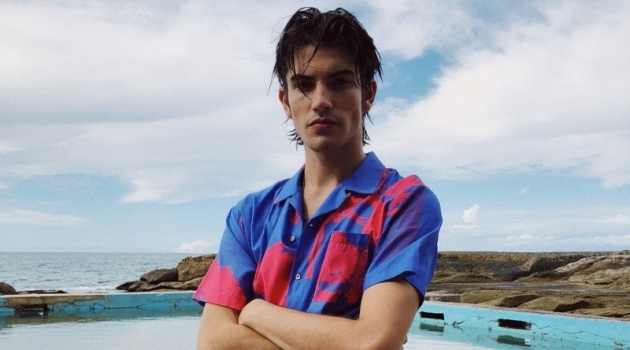 Snyder effortlessly brings classic pieces into the modern era with a mix of relaxed and tailored styles. Must-haves include sharp topcoats and flight jackets. The essentials look great dressed up with trousers or dialed down by denim. 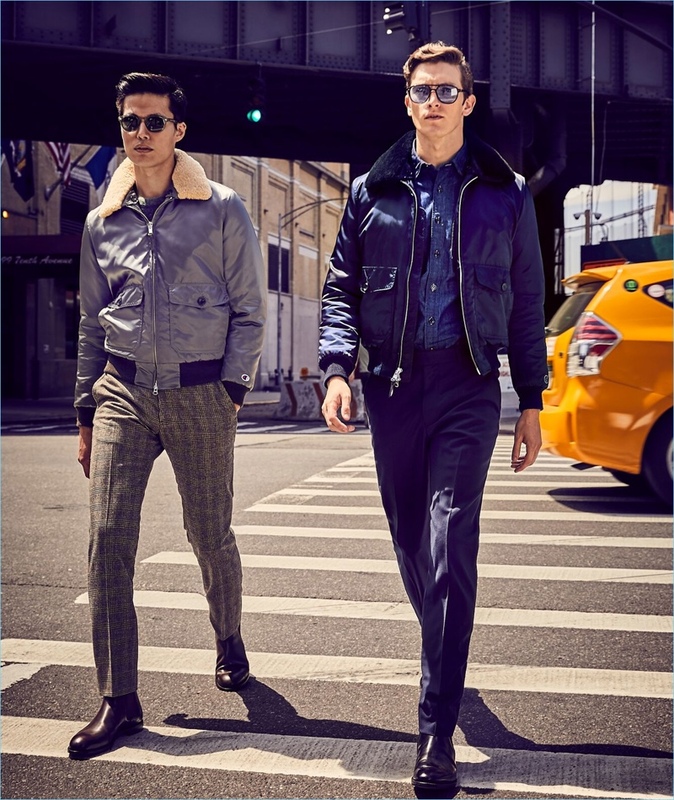 Models Dae Na and Oli Lacey sport flight jackets from Todd Snyder. 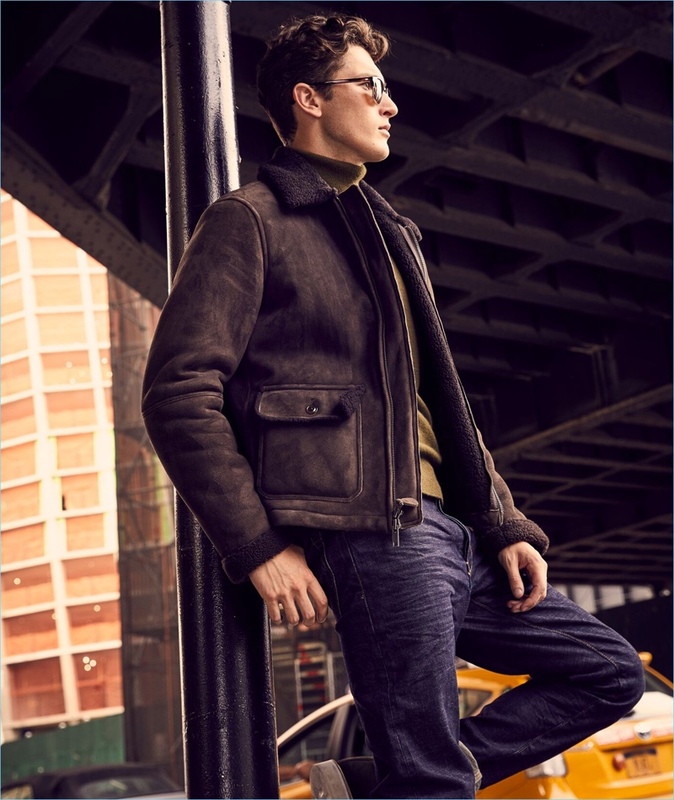 Oli Lacey dons a brown shearling flight jacket by Todd Snyder. 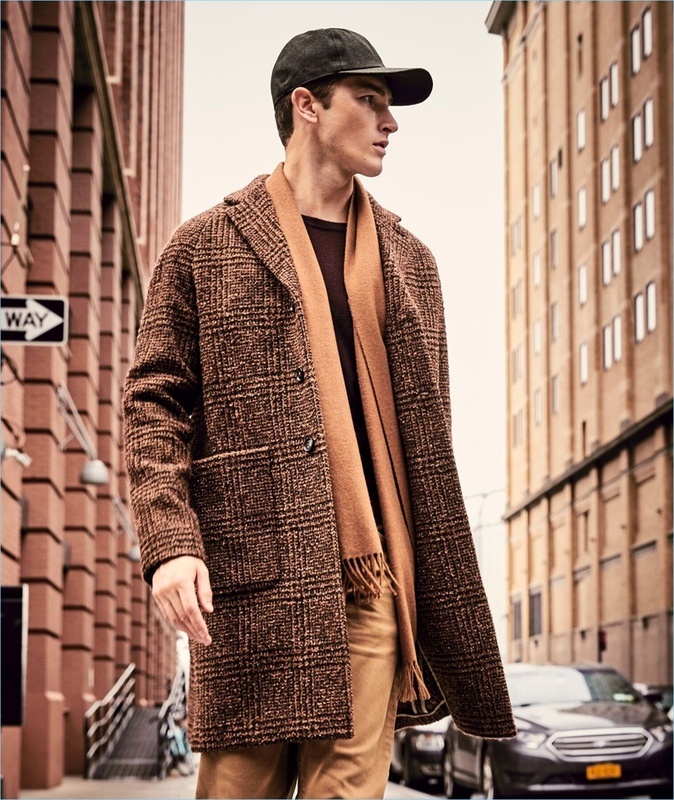 British model Oli Lacey wears a Todd Snyder Italian wool bouclé Glen Plaid topcoat in brown. 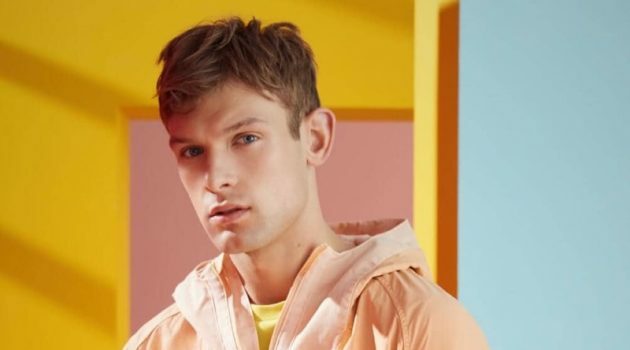 The Fashionisto takes part in numerous affiliate marketing programs, which results in commissions for purchases made using our links to retailer websites.